This autumn’s G-Shock collaboration with Japanese fashion label N. Hoolywood (a.k.a. Mister Hollywood) returns to the DW-D5600 as its base model. 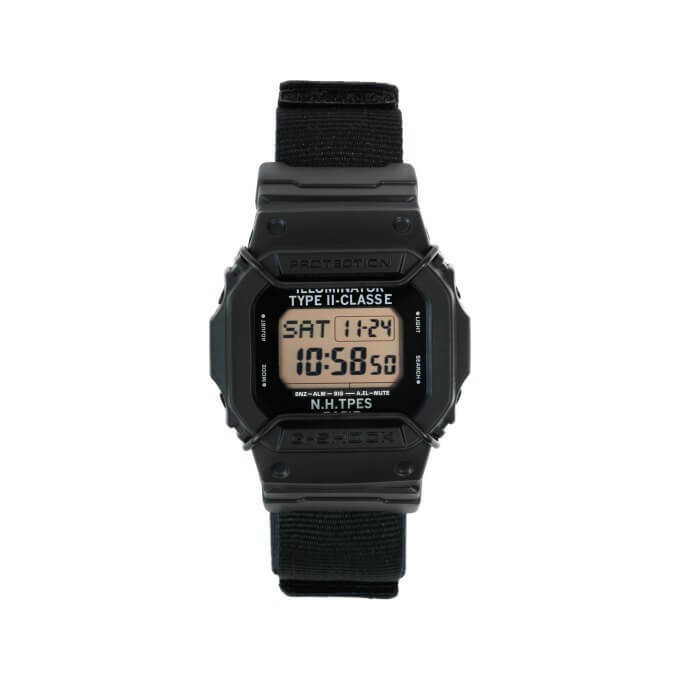 Like N. Hoolywood’s previous military-inspired releases, the watch has large block lettering on the face, a black bullbar face protector, and a custom black ion plated case back. 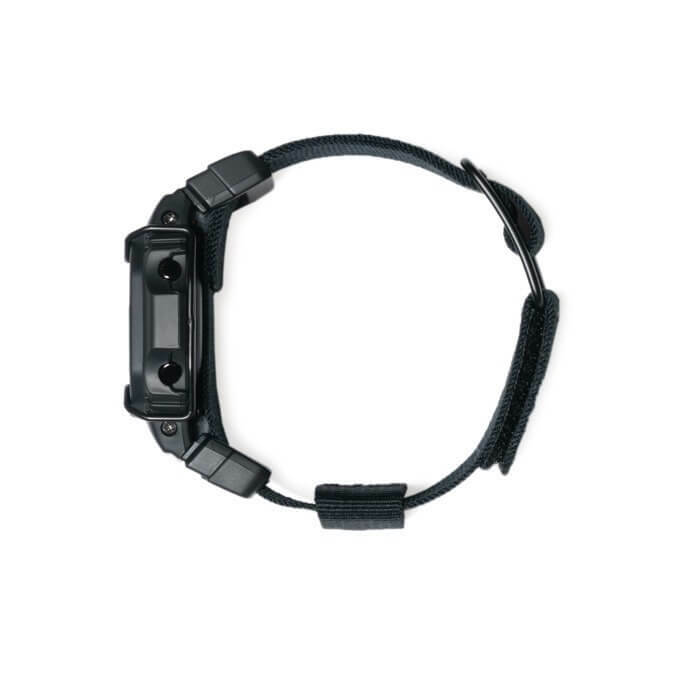 Unlike the standard resin bands of the past few years, this 2018 model includes a unique black nylon band. 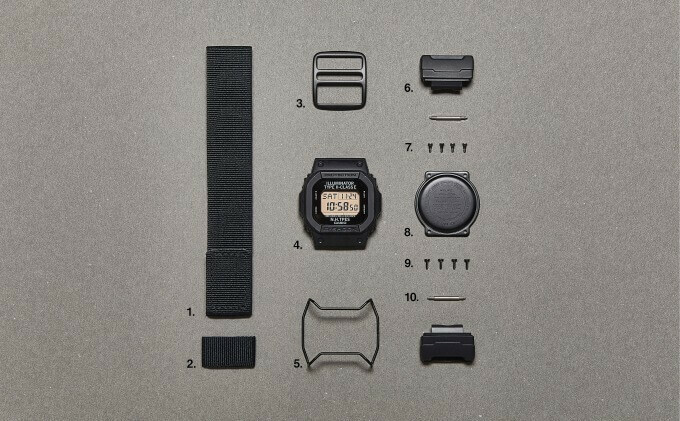 Unlike most NATO-style straps included with G-Shock watches, this is a Velcro-style band that allows for a precise fit. The band also has a nylon strap keeper. 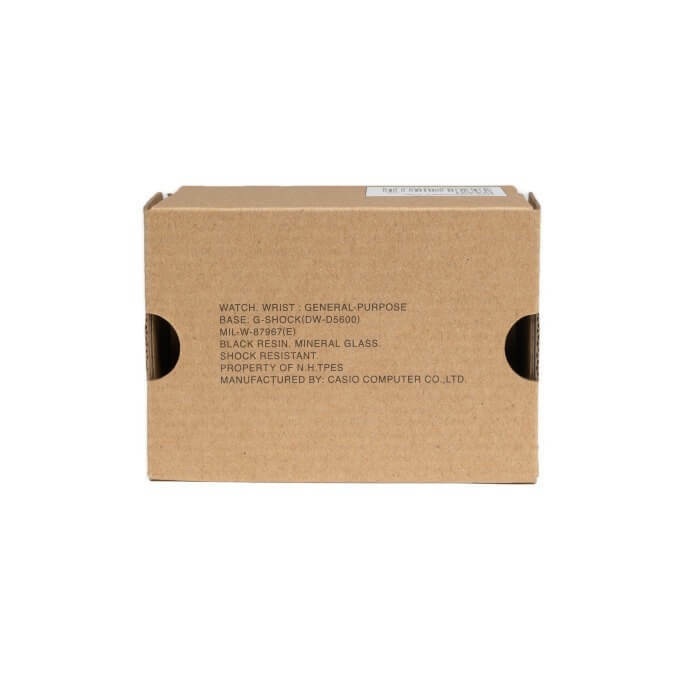 The DW-D5600 base is a more advanced version of the DW-5600. Features of the DW-D5600 that the DW-5600 lacks include world time, 3 alarms with 1 snooze alarm, an auto-activation function for the EL backlight, and an estimated 10-year battery life. The N. Hoolywood x G-Shock DW-D5600NH-1JR will be released on 24 November 2018 in Japan at the Mr. Hollywood store in Shibuya and Mr. Hollywood Osaka, and also online at store.n-hoolywood.com, beans1989.com, and Collect Store. The retail price is ¥18,500 JPY plus tax. 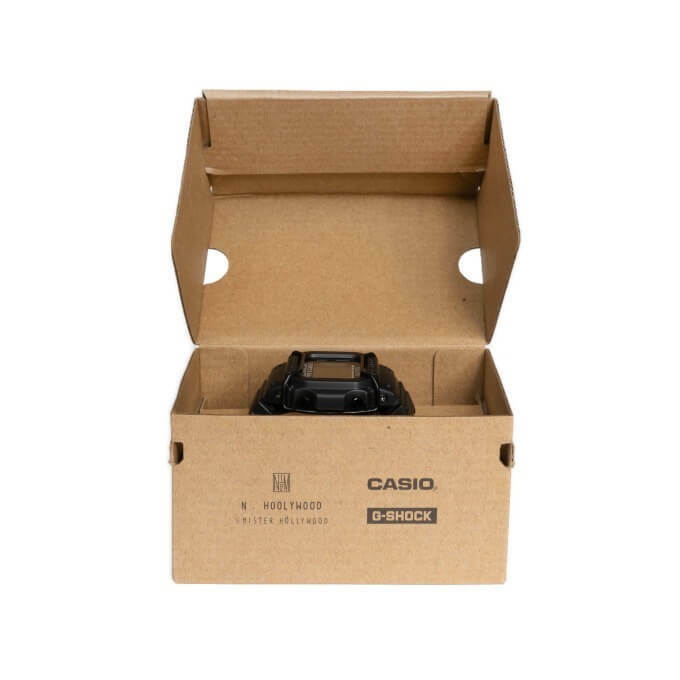 Update: Casio America is releasing the DWD5600NH-1 with a list price of $160 USD. Casio Singapore announced the release of the DW-D5600NH-1JR with the release date to be revealed on Instagram @gshock_sg. 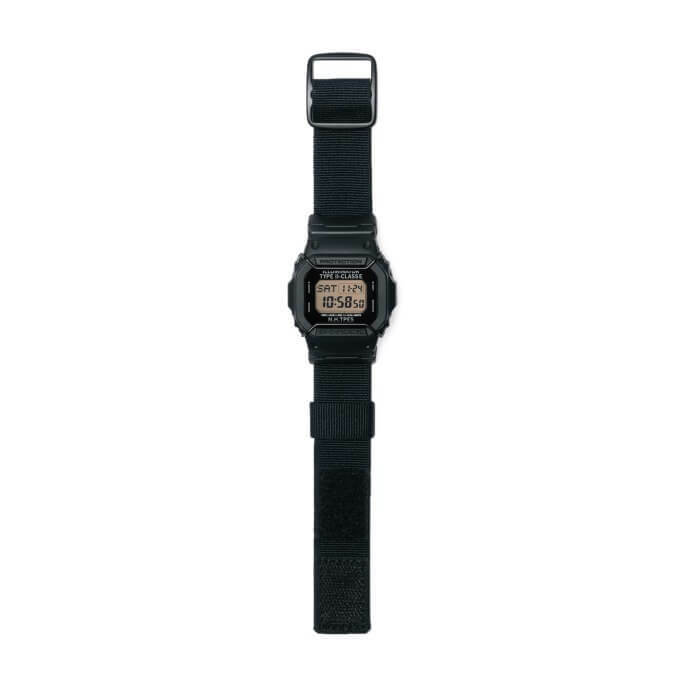 G-Shock Italy also made an announcement so it looks like this watch will be released worldwide. You mean n-hoolywood.com? Chrome is showing that the site is not secure (no https encryption, might have something to do with that) but that is the official site. Have you bought it? Why there is no reviewing video about it on youtube? Still waiting for the U.S./Europe release.